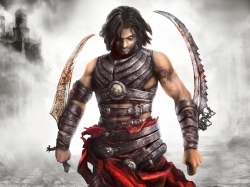 Games Like Prince of Persia '+g+"
Prince of Persia is a gaming franchise that has evolved over time. The first two games in the series were 2D games; however the producers made the switch to 3D in 1999. Like playing more games like Prince of Persia which offers similar game play then find the below list of recommendations and don't forget to mention if we miss any games as we keep on updating this list. Darksiders is an action-adventure hack and slash video game series developed by Vigil Games and published by THQ. The game takes its inspiration from the apocalypse, with the player taking the role as one of the Four Horsemen of the apocalypse battling both angels and demons on a dead Earth. God of War is a series of action-adventure video game series loosely based on Greek mythology. It chronicles the exploits of the anti-hero Kratos and his quest for revenge on the Greek Gods for the death of his his wife and daughter. Devil May Cry is a series of action-adventure hack and slash video games with a modern dark fantasy and gothic setting. The main plot of Devil May Cry revolves around Dante's goal of avenging his mother's murder by eradicating the demons them from existence. The gameplay mainly focuses on fast and highly stylized combats. The Castlevania series chronicals the ongoing battle of Belmont family against Draculas and their partners. Right up 'til today, Dracula keeps on posing a risk to the world. Totems,.....if you can think of more, then don't forget to mention it in comments.